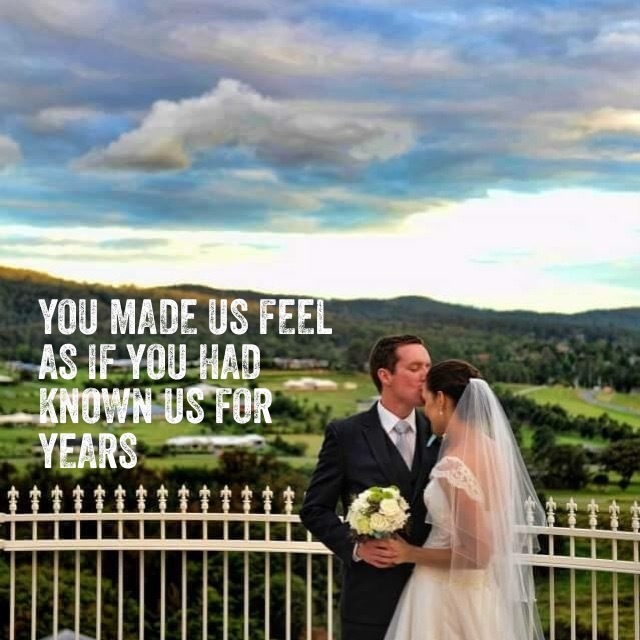 We knew that choosing the right celebrant was an essential part of ensuring our day would be one that we could cherish forever. Jake did just that for us. On the day Jake came to feel more like a friend than a celebrant. Anyone getting married would be lucky to have Pastor Jake. ABSOLUTE BELTER OF A CEREMONY AND WEDDING! Thank you Jake, I cannot tell you how perfect it was. I was so nervous and you executed our last minute changes brilliantly! Thank you for your guidance on the day and everything you have done for us! Thank you so much Jake! It was the best day ever! You were fantastic! Everyone was raving about how brilliant the ceremony was! You are truly very good at your job! Thank you for making our wedding perfect! Hi Jake, Thank you, it was a magical ceremony & everyone commented how great you were, how relaxed the ceremony felt and how much it reflected 'Joel & Sally' so thank you! We had a great day, the best of our lives! Hi Jake, Thank you so much for the personalised and fun ceremony that you created for our wedding on Saturday. Chris and I felt so relaxed knowing that you had it all under control and we really appreciate you setting the tone for an amazing and fun night ahead. We received so many comments from our guests on what a legend you are and how you are the best celebrant they had ever seen! Hi Jake, thanks so much for the weekend. We wanted to say what a terrific job you did and how easy you made things flow. If anyone else I know is getting married they will certainly be getting your details from us! Dear Pastor Jake, Thank you for being the happiest wedding celebrant ever and helping to make our day so special! You made it seem just all too easy. 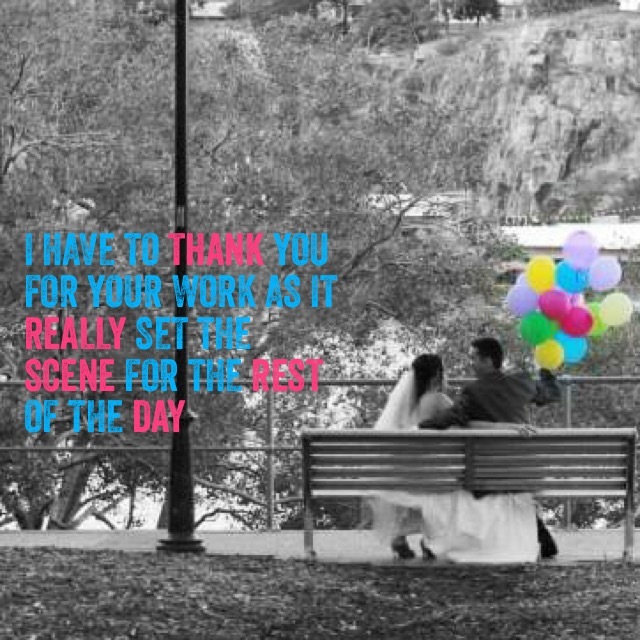 Even now we continue to receive positive comments from friends and family on how welcoming you were on the day. Hi Jake, Thank you so much for yesterday, the ceremony was perfect! We were so busy we didn't get the chance to thank you personally, so thanks again, everything was perfect! Dear Jake, A huge thankyou for doing such an amazing job. We both loved the ceremony as did all our guests. Everyone kept saying how beautifully it was done and what a nice person you are :) It couldn't have been more perfect :) You Rock!! Jake, I am just writing to say thank you for the lovely ceremony that you conducted for Leah and I. It was very touching, heartfelt and done with the utmost professionalism. Our guests were blown away by the simple, yet deep and meaningful ceremony and how close they were made to feel to us. 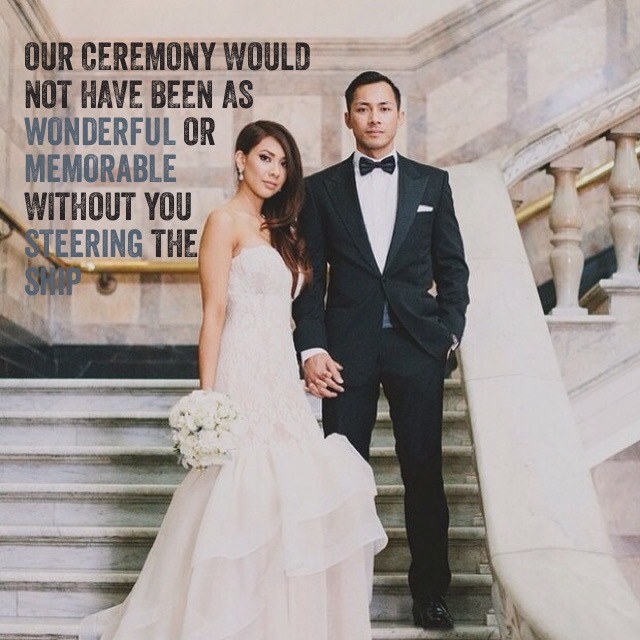 We sincerely appreciate the way you managed this special day for us - we couldn't have asked for any better.